Strobing is currently all the rave. It is the intense highlighting across the high points or the face in order to sculpt by creating areas of light rather than shadow. But there's no holding back this one. it's more natural than it's cousin contouring so it's difficult to look overly made-up with this trend. Today, I'll explain how I'm currently upping my glow. Powder - Now I'm not a particularly 'made-up girl' but I'm not going to deny that I'm a fan of the intense highlight. Personally, it's how makeup should be, looking like a better healthier and more glowy you, not a different you. One of my current favourite ways of achieving this look is by applying MAC Mineralise Skinfinish in 'Soft and Gentle' to the high points of my face particularly along the tops of my cheekbones to create a sharp contrast. Some may argue that it's more for going out than daytime. But I find by using a small fluffy eye shadow brush you can get the effect without going OTT. Cream - I used to religiously use Topshop's Glow Stick in Play Up, I used up the whole stick.. It used to leave a beautiful shimmer across the tops of my cheek bones that can be easily blended out. More recently, I've been experimenting with the Kevyn Aucoin Sculpt and Candlelight Glow Duo - I've found it to be a subtle way to add a bit more of a natural fresh glow to my face. 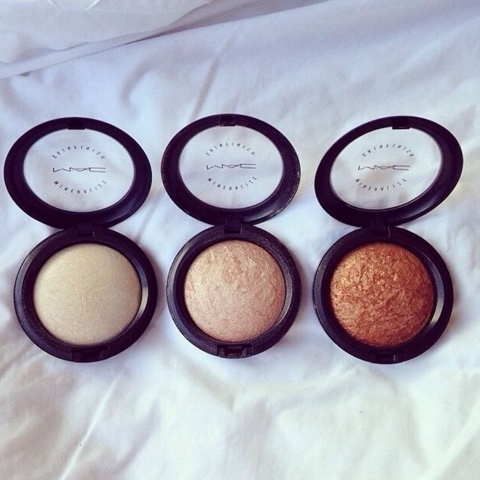 It can also be layered with the MAC MSF for a more intense highlight. Liquid - When applying my makeup, I tend to apply liquid highlighters after moisturising and before foundation. I apply this generously across my cheekbones, forehead, bridge of nose, chin, cupids bow (all over my face) and then blend with my fingers. It looks a bit overwhelming in the bottle, but once foundation has been applied, I'm left with a lovely 'natural glow'. I'm currently using Benefit's HighBeam, and it's well loved. 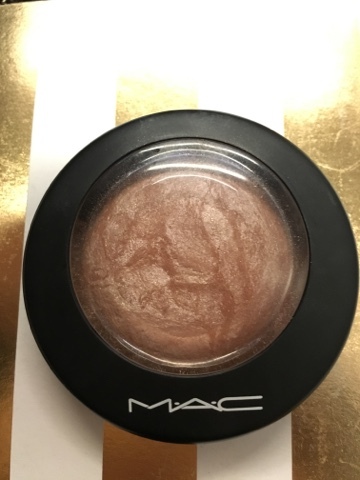 The one to try next is Mac Strobe Cream. I've read so many reviews and blog posts about it, I think I might pick up a travel size first just in case it upsets my skin.